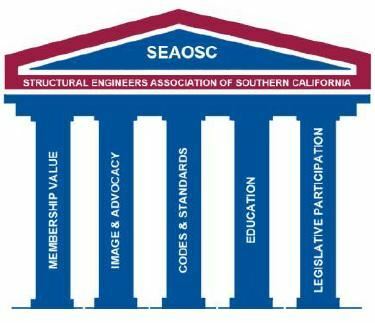 SEAOSC maintains an extensive committee structure of volunteer members developing and evaluating various structural engineering design philosophies and standards, as well as assisting building code officials in the development of building codes at the local, state and national levels. The SEAOSC committees also assist in developing training seminars for structural engineering continuing education programs, public informational bulletins regarding earthquake hazards, and assisting local elementary, junior high and high schools with engineering education programs. Committee meetings are open to anyone to attend as an observer. However, voting on committee business reserved for SEAOSC members. 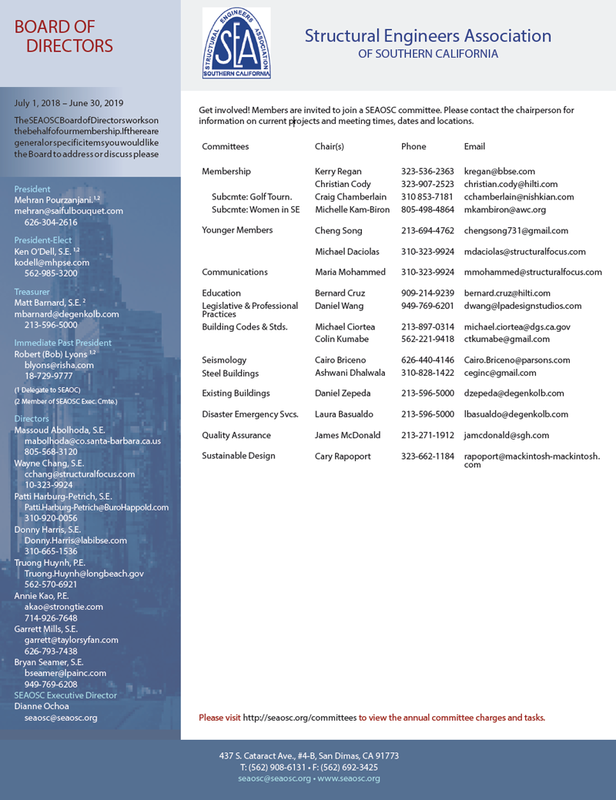 We encourage you to contact the Committee Chair directly using the Roster below to learn more about the committee's projects and meetings.